We specialize in early intervention and specifically treat toddlers and preschoolers with speech and language delays and disorders. 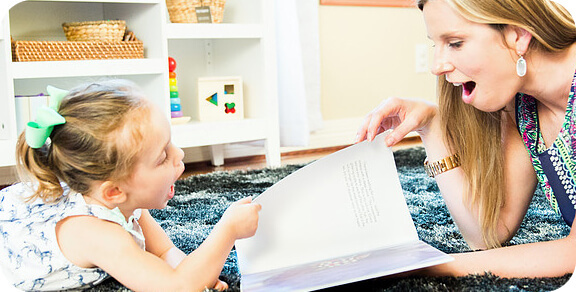 We address speech sound disorders such as articulation disorders and phonological disorders and language delays in the convenience of your own home. Our training in myofunctional therapy provides us with a unique understanding of the muscles of the jaw, lips, checks, and tongue. This translates into more efficient and effective therapy. We specialize in therapy for young children with motor-based speech disorders such as axpraxia of speech. For these children, more frequent sessions are recommended. We utilize a variety of programs and methodologies including Kaufman, DTTC, Building Speech and Quantifying Complexities, and PROMPT. A follow-up note and homework is provided to help facilitate your child’s newly learned skills at home. Orofacial Myofunctional Disorders (OMDs) are disorders of the muscles and functions of the face and mouth. OMDs may affect, directly and/or indirectly, breastfeeding, facial skeletal growth and development, chewing, swallowing, speech, occlusion, temporomandibular joint movement, oral hygiene, stability of orthodontic treatment, facial esthetics, and more. Most OMDs originate with insufficient habitual nasal breathing or with oral breathing. The subsequent adaptation of the muscles and the orofacial functions to a disordered breathing pattern creates many OMDs. Orofacial Myofunctional Disorders may impact treatments by orthodontists, dentists, dental hygienists, speech-language pathologists, and other professionals working in the orofacial area. Correct swallowing depends on a proper relationship between muscles of the face, mouth and throat. The act of swallowing is one function that depends on the body’s vital balance. To swallow properly, muscles and nerves in the tongue, cheeks and throat must work together in harmony. When a person swallows normally, the tip of the tongue presses firmly against the roof of the mouth or hard palate, located slightly behind the front teeth. The tongue acts in concert with all the other muscles involved in swallowing. The hard palate, meanwhile, absorbs the force created by the tongue. Because a person swallows 500-1000 times a day, improper habits can create life long problems. Preschoolers may struggle with a variety of aspects of language. These can include vocabulary, grammar (syntatx), phonics, early literacy skills, social skills (pragmatics) and retelling a story (narratives). We use fun and play-based activities to target the area(s) of language your preschooler is having difficulty with. By implementing mult-sensory learning, we make learning engaging and fun! . Interventions such as the Story Grammar Marker, The Storybook Journey, and Lively Letters help further build the foundation for literacy. We have extensive training and experience in providing speech therapy to young children who are not yet talking. Through meaningful and engaging opportunities, children learn words associated with the world around them. Our therapists are trained in programs specifically for working with “late talkers” such as “Target Word” and “It Takes Two to Talk.” Individualized therapy and specific suggestions for carryover throughout the week are provided following each session. Our compassionate and engaging therapists make therapy fun and meaningful for your little one! We also are uniquely qualified to assess a child’s social-cognitive level and executive functioning difficulties. Impairments in these areas are often missed by standard language assessments. 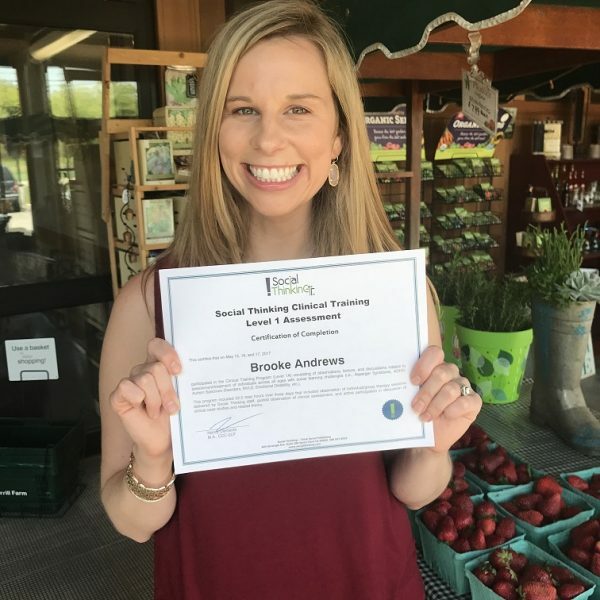 Social skills assessments consists of an observation in the child’s natural, environment, parent interview, and direct a assessment. Yoga is a body based activity that combines breath, movement, and mindfulness. Speech production happens when we move breath through our voice box and it is shaped by our articulators (parts of our mouth). Breath is the very foundation of speech. Without awareness of breath, it is hard to teach a child how to articulate, project, interact, respond, etc. For this reason, yoga and speech go hand in hand.